Click here for the simmered sword fish recipe. 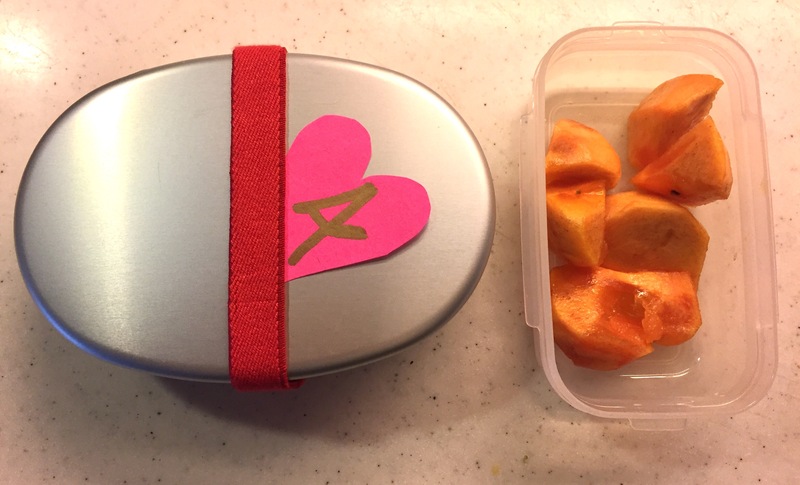 Perfect for packed lunches. I had some extra chicken breast, so I made chicken soup with it along with some veggies (onion, carrot, daikon radish & potato). 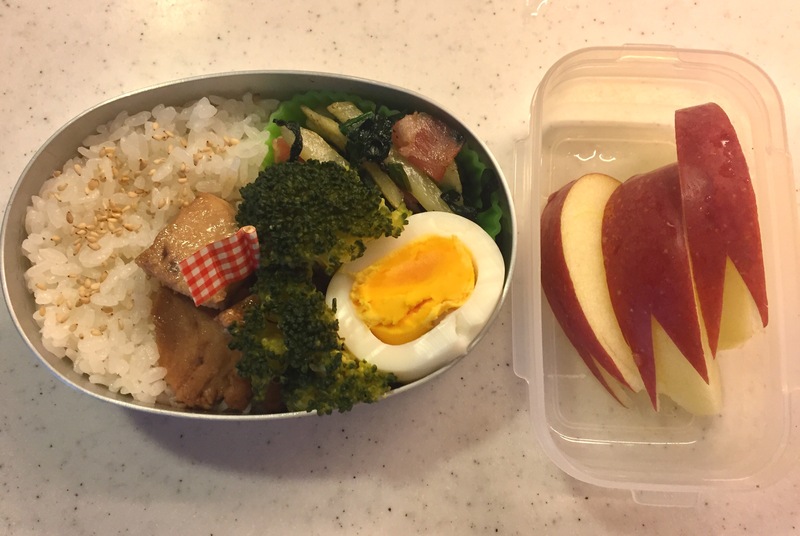 I put the fillings to my daughter’s bento (they are tasty even without the soup, so why not? ), and this evening I added milk to the soup upon her request. It came out as nice, warm white stew that is perfect for a cold autumn day. 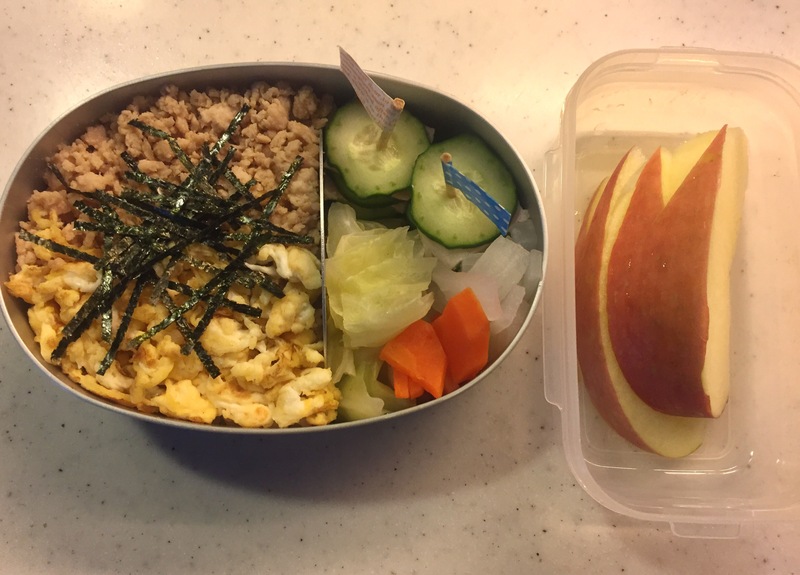 Pumpkin & egg salad is something I put in a bento box on a regular basis. I usually steam half a pumpkin (here in Japan, we always see pumpkins sold in half or a quarter, hardly ever a whole one. Wonder why), mash it once soft, divide them in an ice cube dish and store them in the freezer. 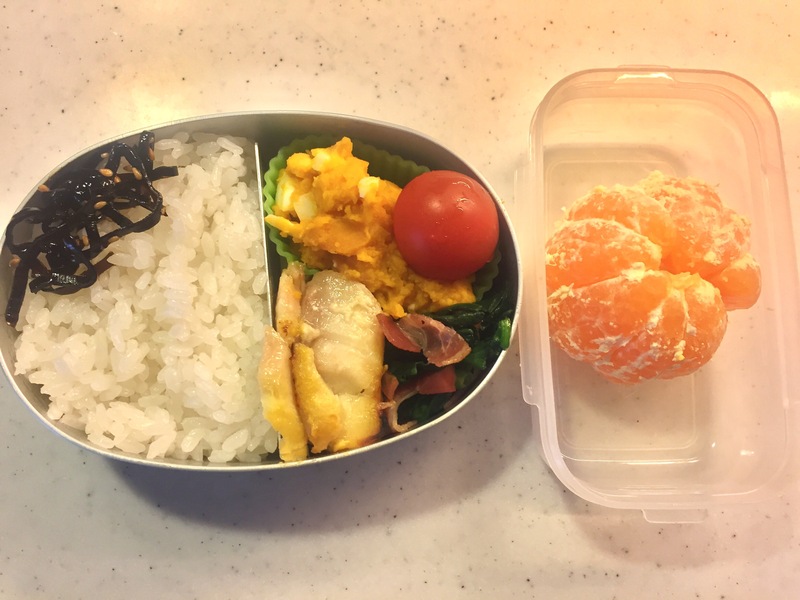 Whenever I need one extra dish or want to add a bright yellow orange into a bento box, this becomes very handy. 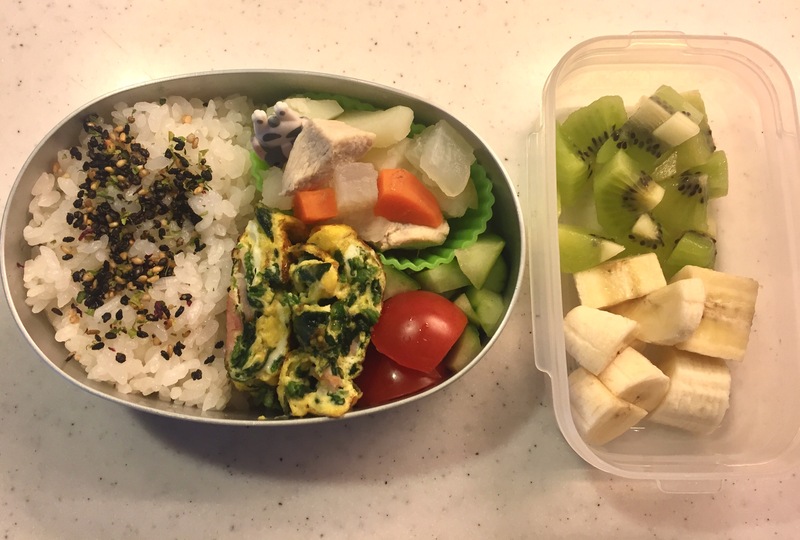 As part of bento preparation, I strongly recommend “steaming” certain types of vegetables, such as cabbage, carrots, etc., that are usually used for soup. By steaming these vegetables, you not only keep their nutrients more compared to boiling, but also can bring out sweet flavour from the ingredients more distinctively. In addition you can eat a greater amount than eating fresh vegetables (softer texture and easier digestion). 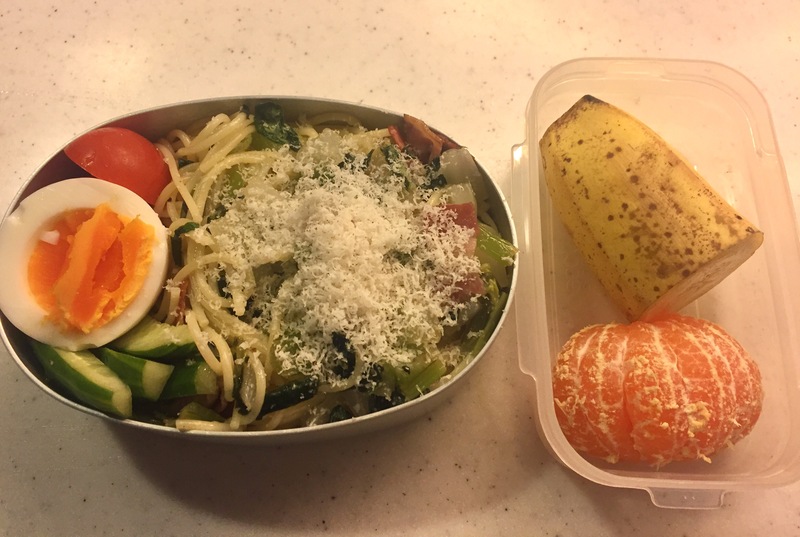 My daughter loves steamed vegetables and enthusiastically eats them without any seasoning. Ever since I started serving her the vegetables this way, I also started eating them like her without any oil or dressing. It’s like rediscovering the long lost flavour that I used to enjoy as a young child. Great for your diet also! Sháké or Sáké (鮭) is a Japanese name for salmon. Similar to sake, the rice wine, but you pronounce ‘a’ and ‘e’ more distinctly for the fish. 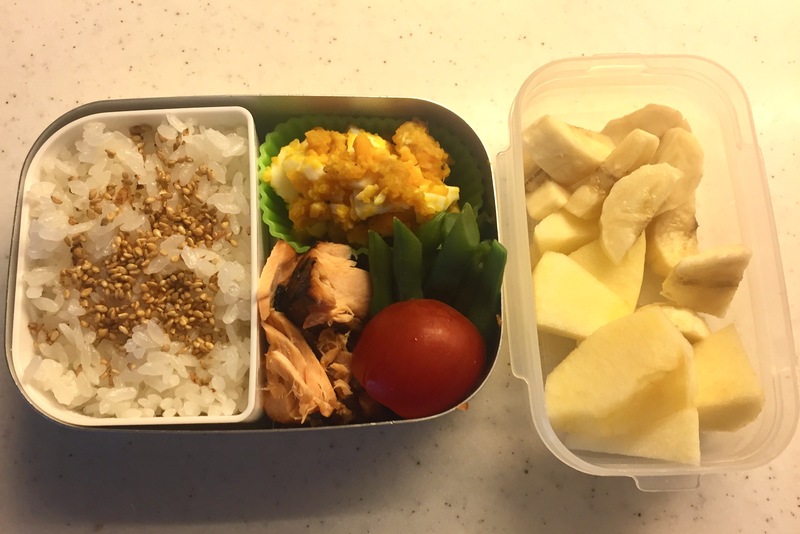 Shaké-Ben is short for bento with grilled salmon, which is quite a common, basic, and standard style of packed lunch in this country. 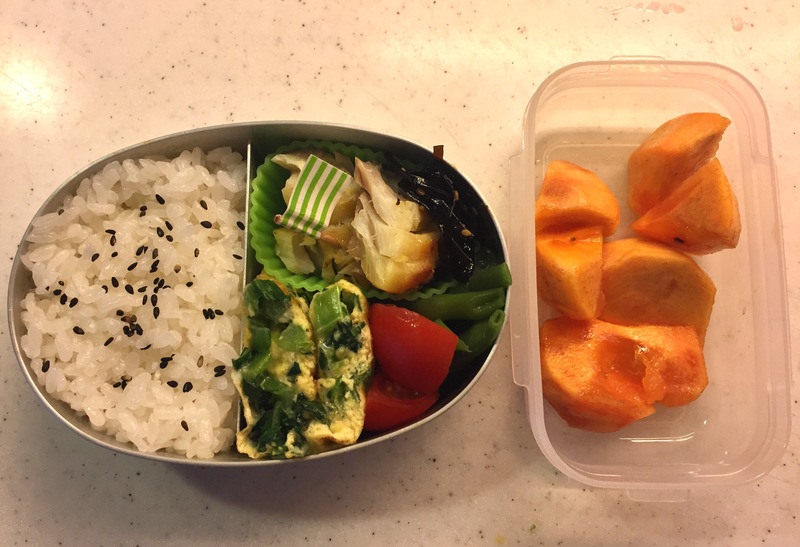 Usually for grown ups the size of salmon filet is bigger and in one piece, but I made them smaller into bite size pieces for our little girl with clumsy chopstick skills.